Built in 1831, Oak Lodge is in largely original condition, down to the cellar, unique staircases, door locks and cedar joinery, original cobblestone paths, stables and garden. The National Trust owns the property but with a strong moral obligation to fulfill Miss Horsfall’s wishes and keep the property as a living museum open to the public. Since 2001 Coal River Valley Historical Society volunteers have cared for and maintained Oak Lodge as a local museum for the village and district, with displays illustrating the early years of Richmond, Dr Clark’s consulting rooms and an early school room. Oak Lodge is the only historic home open to the public in Richmond – a home that was built and lived in by everyday, successful people – where visitors can enter each room and view the exhibits. The house itself is a time capsule, with a lack of modern facilities that shows the lifestyles of the Booths, the Clarks, the Horsfall sisters and others who made Oak Lodge their home. 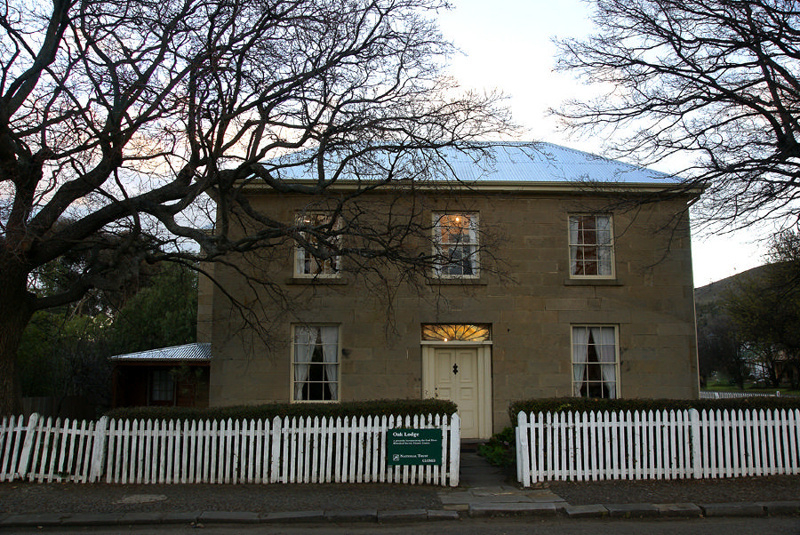 "oak lodge richmond" richmond "richmond tasmania"